I’m up early on this cool late November morning, contemplating all of the abundance and treasure that fills my life. The hamster wheel of thoughts in my mind can often bring me back to what is lacking or missing in my life, all that I have lost. We all do that from time to time, right? If only I…I should have…why didn’t I? I try so hard not to get caught up in this negative spiral of thoughts. I have found that the best solution in the face of that downturn is to stop myself, take a deep breath and focus on what is actually here, what I do have. So, in the spirit of all that is present in my life, I am sipping a China white tea called Fuding White Treasure. This tea is grown in the Fuding hills of Fujian province. 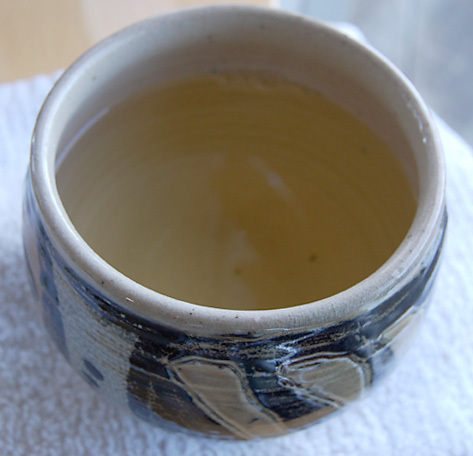 White teas are harvested from a Camellia sinensis var. sinensis (tea plant) varietal that will grow bigger leaves with more downy white hairs on the new growth. It is these fine hairs that give the leaves its whitish look and its name. 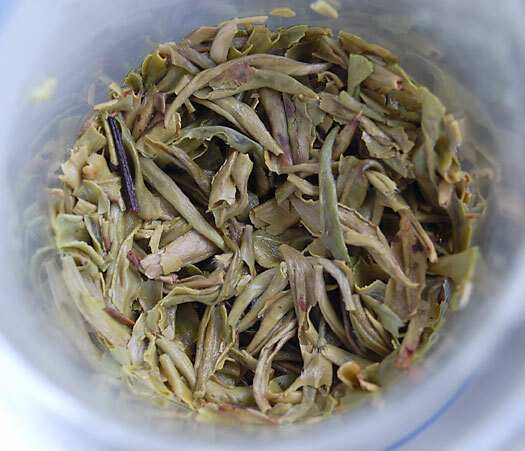 The silvery white down is accentuated on the dry leaf which then turns a beautiful light green during a 3 minute steeping in 180 degree F water. 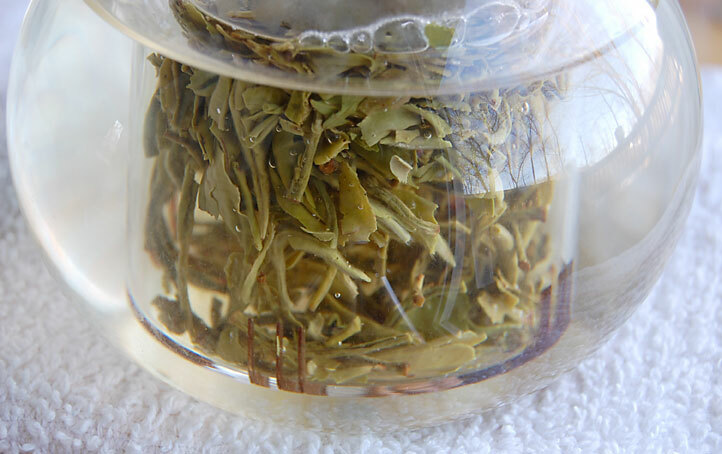 The green look of the wet leaf foreshadows its vegetal aroma and taste, much like that of a very fine green tea. To me, the difference lies in the soft delicacy of this tea, a gentle treasure. I find this tea much lighter in taste than a green tea. It also has a whisper of sweetness that lingers in the smooth finish. 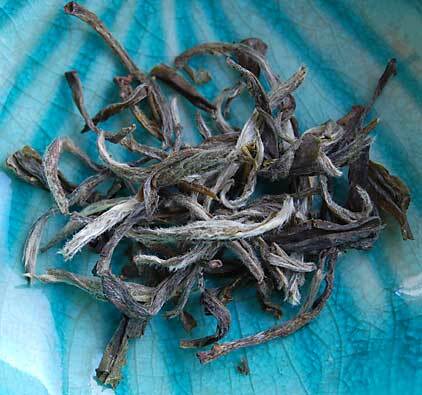 White tea is hand picked in the springtime, most ideally in cool, dry weather. After picking, the leaves are withered (dried out) in the sun. During adverse weather conditions, the leaves are brought inside to be withered under carefully controlled conditions. The temperature and humidity will contribute greatly to the final taste of the tea so the tea master monitors all of these conditions very closely. After withering, the leaves are roasted or baked to further remove moisture from the leaves and halt oxidation (turning dark). 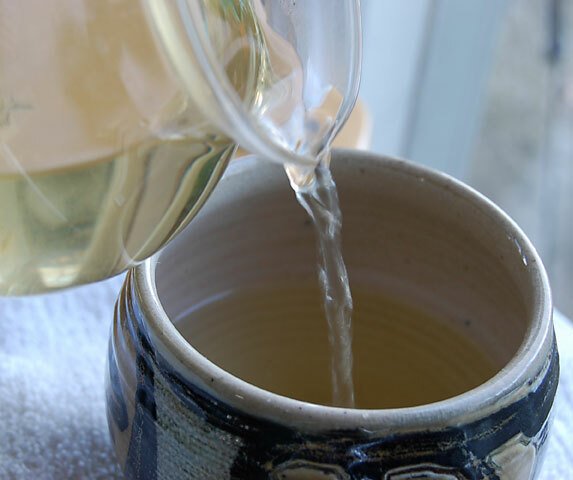 White tea is the least processed of all of the tea categories so the leaf is the closest to its original state which gives it its delicate flavor. I wrap my hands around my warm teabowl and give thanks for this treasure that is now warming my hands. I love doing that in cold weather, a lovely little ritual that helps me stop what I’m doing and be present in the moment. I focus on the delicious warmth of my teabowl and how wonderful it feels on my cold hands. What do you do that helps you become present in the moment? This entry was posted in Gifts, Life Musings, Photography, Tea, Uncategorized, White Tea and tagged Fuding White Treasure, tea review. My favorite meditative activity is walking outdoors alone. Sometimes I review things in my head, other times I am present to the rhythm of my breathing and footsteps. This is reminding me that I have not walked nearly often enough lately. at night i light candles. in the day, i have windows fully open to the world. at this morning i am sitting with my boys watching a movie/not watching a movie, just soaking in their presence…. I agree with your wonderful description of white teas – a sweetness that lingers in the mouth. That’s it for me, too. Thank you for your mindful post! I love white teas, they are one of my favorites. To answer your question… there are times I do the same. Just sit and bask in the warmth of a cup of tea and take just a few moments for me. Other times I take a few moments to pray. Thank you ladies for sharing your special ways to be present in the moment. I loved reading them!